Paul Drury (1903-1987) was one of the major printmakers to graduate from Goldsmiths College in the 1920s. He was part a group of students which included Graham Sutherland, Edward Bouverie-Hoyton, Alexander Walker and William Larkins whose work for a time fell under the spell of the Romantic artist, Samuel Palmer. 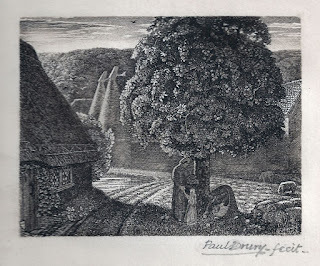 In Autumn 1824 Larkins came upon a small copy of Palmer’s 1850 etching, The Herdsman’s Cottage and purchased it. The group became later known as The Goldsmiths School or The New Pastoralists. Palmer was not the only influence on the group. Initially Durer, Whistler, Meryon, Millet, Haden and Rembrandt were cited as influences. 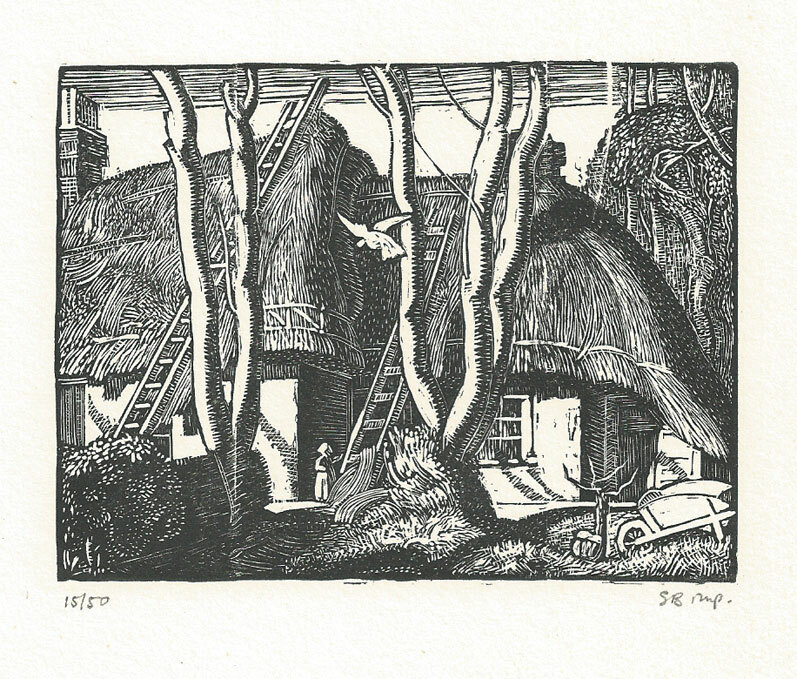 The group were also aware of the work of F.L.M Griggs from his images for Highways and By-ways, rural English travel guides as well as his etchings which revealed the grand visions of historic English sites. Drury and Sutherland even visited Grigg’s studio to learn about his printing techniques. At that time at the college to almost completely cover the plate with etched lines, as in the Palmers etching, was almost unheard of. In the Herdsman’s Cottage, even the lines in the sky are filled with linear marks that run horizontally across the top right side of the plate. As early as 1924 both Paul Drury and Graham Sutherland, like Palmer, produced etchings which in most cases covered the plates with a series of intricate lines which were etched in a number of successive stages. This enabled rich black areas to be built up through the overlay of etched lines. 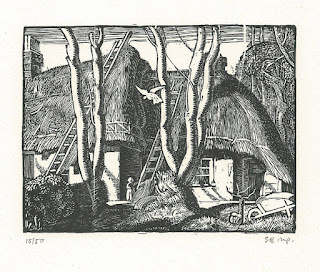 My initial introduction to Drury was through the British print expert Elizabeth Harvey-Lee’s exhibition of British prints at The Sydney Antiquarian Print Fair in 1989 where she showed his etching, Evening (1924). 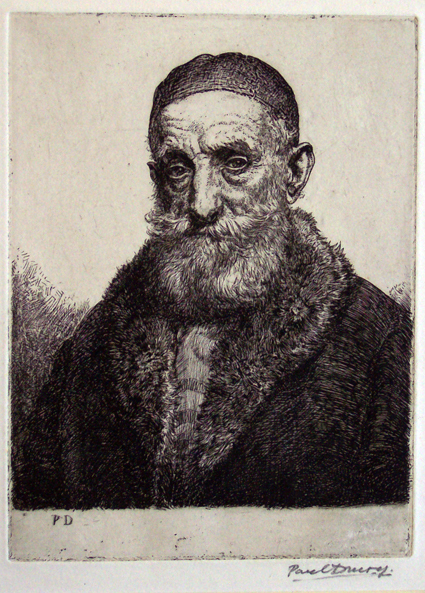 My first purchase was Head of an old man in a skull cap (1924) which shows a strong influence of Rembrandts etchings. More recently, two later but lifetime printings of early prints, September (1928) and Evening (1924) have come into my possession. September is a particularly beautiful Drury etching which for me as an Australian, has a very English quality. It is a nostalgic image of rural life set in the crisp autumn light of the English countryside. 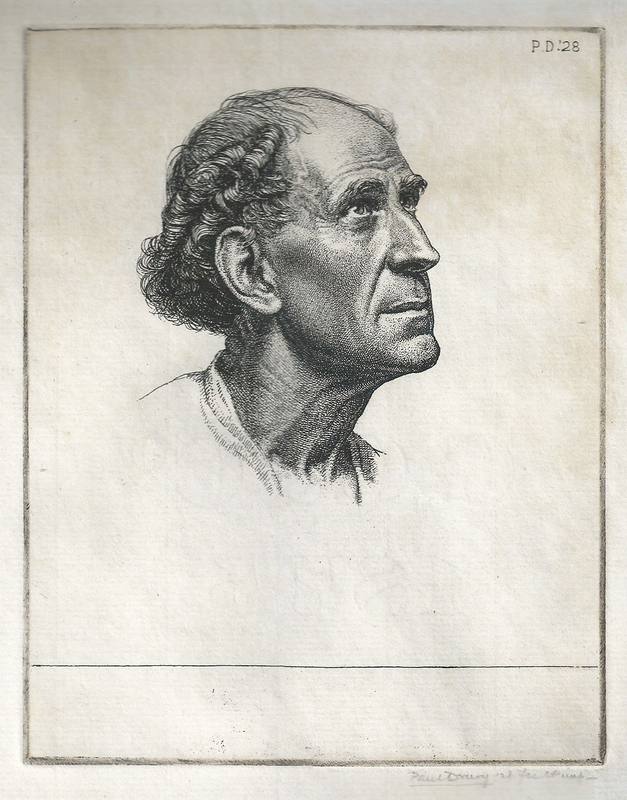 Recently I purchased a second state of Drury's etching of First Italian Head (1928) depicted above. This delicately etched work features the profile of a man with an upward gaze and a peacful demeanour. In the latter states and the editioned state of this etching the original deliniation of the collar is completely absent and the plate has been reduced in size.